Posted Speed limits. Sauvie Island Road is 45 mph. Some of Gillihan Rd is 55mph. Sauvie Island bridge is 30mph. 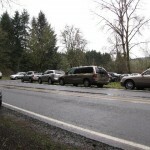 Where Reeder Rd intersects with Sauvie island Road; Reeder Road traffic must stop while Sauvie Island Road traffic does not. Where Reeder Rd intersects with Gillihan Road. Reeder Rd traffic turning right onto Gillihan and Gillihan Rd traffic turning left on Reeder are required to stop. However, Gillihan Road traffic continuing onto Gillihan has right of way in both directions. Where Gillihan Road intersects with Sauvie Island Road (northbound @ turnaround by bridge). 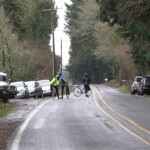 Gillihan Road traffic must stop while Sauvie Island Road traffic does not. When turning onto Oak Island Road from Reeder Road drivers are required to travel across the oncoming traffic lane. Be cautious here! Foliage planted along the parking lot at the foot of the bridge blocks motorists’ view of traffic approaching from the bridge. Leaving the island from Gillihan Road one must pull out to view the traffic conditions. Also note that cars coming off the bridge often turn into the oncoming lane. 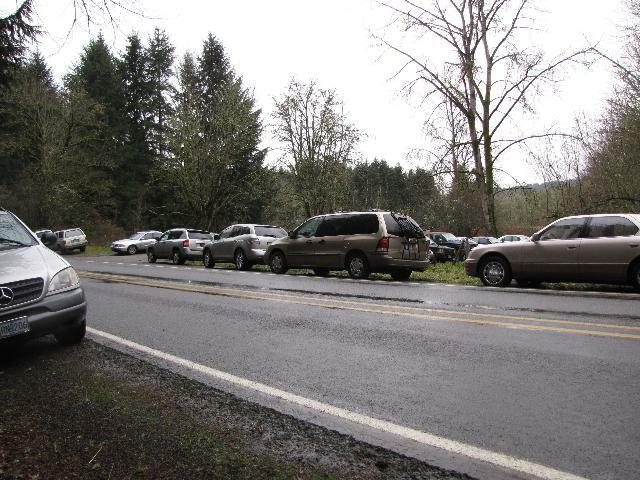 First photo shows parking overflow at Wapato Park. 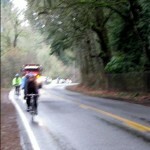 In 2nd photo bicyclers in the road. 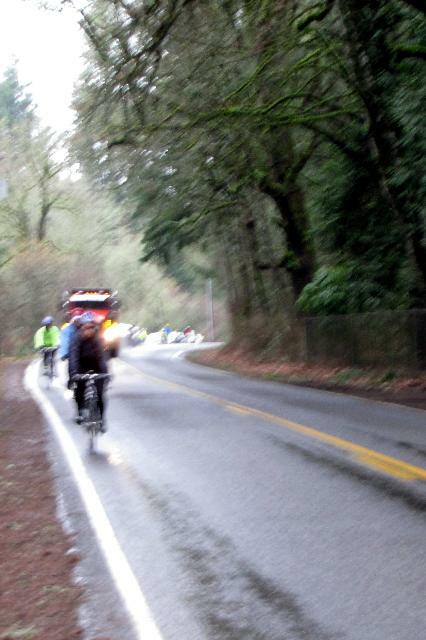 Third shows a semi truck approaching at full speed (45mph) just as the bicyclers depart the site. No Shoulders. 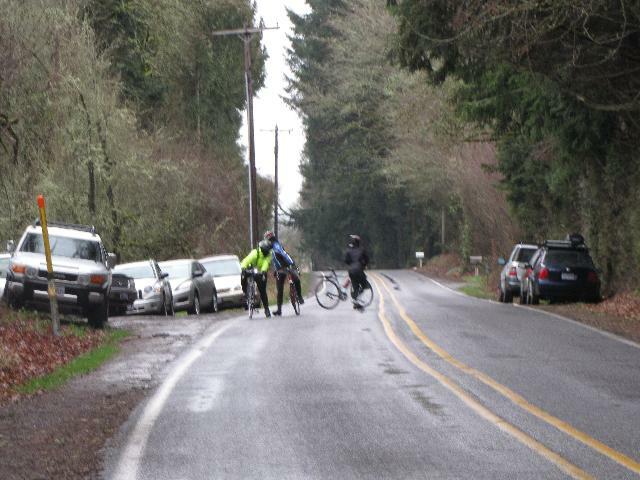 The paved roads on Sauvie Island have no shoulders; bikers on narrow road tires and bikers pulling children in carts BEWARE! Dike Road. The South end of Sauvie Island Road is a dike road; the dropoff on either side is steep. Be careful! Farm Equipment. Vehicles and bicyclers are required to share two-lane, bi-directional roads with farm equipment. Farmers and Agricultural businesses are very good about transporting their large equipment during night hours; however, you may encounter these large and slow-moving pieces of equipment; if you encounter them it is suggested that you please stop and pull over. Blind curves. Gillihan and Reeder Roads have several blind curves causing vehicles to brake hard when coming upon bicyclers too far into the lane or not riding single-file. Pulloff to Observe Wildlife. Don’t stop along roadway to observe wildlife! Wildlife on Roads. Be cautious, at all times, for wildlife on the roads! Heavy Traffic. With the nearly 1.5 million annual visitors the island experiences, traffic may, especially during peak seasonal and event periods, be extremely heavy. With the new bridge and traffic control assistance the problem has been greatly reduced.